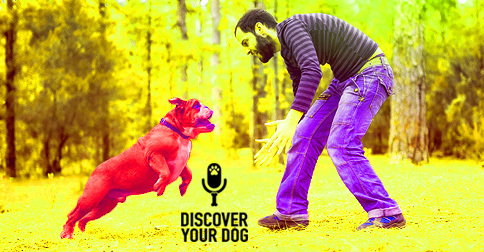 Ep 086 How YOU Communicate with Your Dog! Helping you create great communication with your dog is our mission. Today, discover a deeper, subtler level of communication to help you Discover Your Dog. 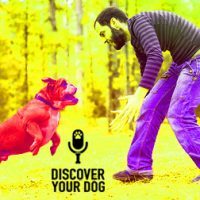 In this episode, you will learn about communicating with your dog wordlessly, with your thoughts. Tricia sat down with us today to talk to us about energy and how it relates to how we communicate with our pets. The problem we are solving today is that dealing with any dog behavior can be stressful, regardless of the age of the dog. Bennie has noticed that many of the problems are enhanced/encouraged by the owner without them even knowing it! Owners emit energy when trying to deal with these issues. Animal communication – telepathy – it is subtle vibrational language – it is the way we communicate with energy, thoughts and emotions. When it is used consciously, it is thought of and used as a language; it is the first language we use since we are unable to use speak words as babies. How do you do consultations or what should someone expect when they have one with you? Consultations – with one on one consultations or a family dynamic Tricia does them remotely and does them one on one with the animal first before she does them with the owners. Because telepathy is vibrational language there is no proximity requirement to communicate with an animal. If she is working with a farm or a sanctuary it is better for her to be there so she can take in all the information from the environment included. When an owner is going through some issue with their pet or maybe some big changes in their home, what are some of the things that have come up for you? Animals are primarily visual and are very telepathic and do hear our thoughts. Humans have 60,000 to 80,000 thoughts a day so they over hear. You may call out their name and they will hear you but it is their opinion and desire to listen to you. For example: if you are taking them to the vet and do not communicate that with them causes more anxiety for them and they also take in your energy of discomfort. When there is some sort of behavioral issue what is commonly happening is that they are not being heard. For example – someone moved out of the house and the dog had been acting out a lot because he didn’t know if anyone else was moving out or what else was to be expected. You can communicate with your dog wordlessly or with your thoughts. The thoughts and the energy should all be aligned for better communication with your dog. Bennie – your leash is like a conductor of your energy and he believes dogs do have personalities and emotions. Bennie refers to the same idea of telepathy/communication using body language, trust, etc. In order to create awareness of your energy when communicating with your dog, you are going to spend 5 minutes a day communicating your expectations with your dog. Make sure it is a quiet and relaxed atmosphere. Set a timer for 5 minutes and this could be done the same time every day. Make sure you are in a good place mentally. If you are upset, worried, or stressed; make it another time or skip the day if you can’t get out of your funk! Make sure your dog wants to spend time with you. Do not force your dog to go through the exercise. If you see your dog becoming antsy or trying to get away, let her go. This does not have to be for the full five minutes if your dog does not want it. Make sure you are in a spot where your dog has freedom to roam or be with you – it is her choice. You just should be in the same space. Think of what you are going to say to your dog. You can say several things or you can create a mantra for you and your dog. This is not to convince your or your dog of anything. This is a practice for you and your dog to spend quality conversation and create awareness for you to look for things you want from your dog. BE AWARE OF HOW YOU COMMUNICATE AND MAKE SURE IT IS IN THE AFFIRMATIVE. Pay attention to your dog’s actions and reactions. If your dog seems stressed it could be because you have never behaved this way and it is new to her. It could also be that you are stressed and she is picking up on that energy. Do you have certain expectations from your dog? Are you trying to will her to listen to you? Do you feel anxious about the exercise? These are good self-awareness questions – be willing to create personal awareness and create a positive open situation for you and your dog. He sits with his dog and loves who loves to have his belly rubbed. Have 4 to 5 things you want to discuss or repeat in the affirmative in a calming tone of voice with your dog.